Ward Hadaway's status as a provider of high quality legal services and an investor in its workforce is independently recognised by a series of organisations. ISO 9001 is a Quality System in Legal Services, which applies to the whole of Ward Hadaway. We have retained our ISO9001 accreditation continuously since 1994 with over 20 years of external audits of our system. ISO 27001 is an internationally recognised best practice framework for an information security management system. Ward Hadaway has secured ISO 270001 certification for all of its offices, recognising that the firm has established, implemented, maintains and continually improves its information security management system. ISO 14001 is an internationally agreed standard that sets out the requirements for an environmental management system. It helps us to improve our environmental performance through more efficient use of resources and reduction of waste. Ward Hadaway has secured this certification across all three offices. Ward Hadaway has been accredited as an ‘Investor in People’ since 1998. The IiP Standard is the UK’s leading accreditation for high performance in business through people management excellence. It defines what is takes to lead, support, motivate and manage people well to enhance business performance. The firm first achieved the Silver IiP award for all offices in 2014 and we continue to utilise the IiP framework and assessment as part of our approach to continuous improvement. The Law Society’s Conveyancing Quality Scheme (CQS) provides a recognised quality standard for residential conveyancing practices and has the support of the Council of Mortgage Lenders, the Building Societies Association, Legal Ombudsman and the Association of British Insurers. Ward Hadaway has been a member of the scheme since January 2013 having passed assessment by the Law Society in order to secure CQS status for each of its offices. 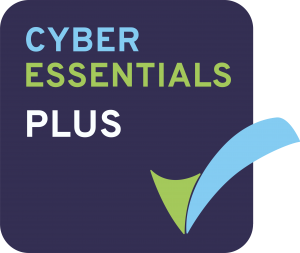 In March 2019 we were reaccredited with our Cyber Essentials Plus certification. The high standard accreditation is further commitment by the firm to ensure that client information, interests and data are kept secure. You will find our 2018 Gender Pay Gap report here and our 2017 Gender Pay Gap report here. The Government’s overview on pay gap reporting can be found here. To request a copy of our employee Diversity and Inclusion report, please email hr@wardhadaway.com.